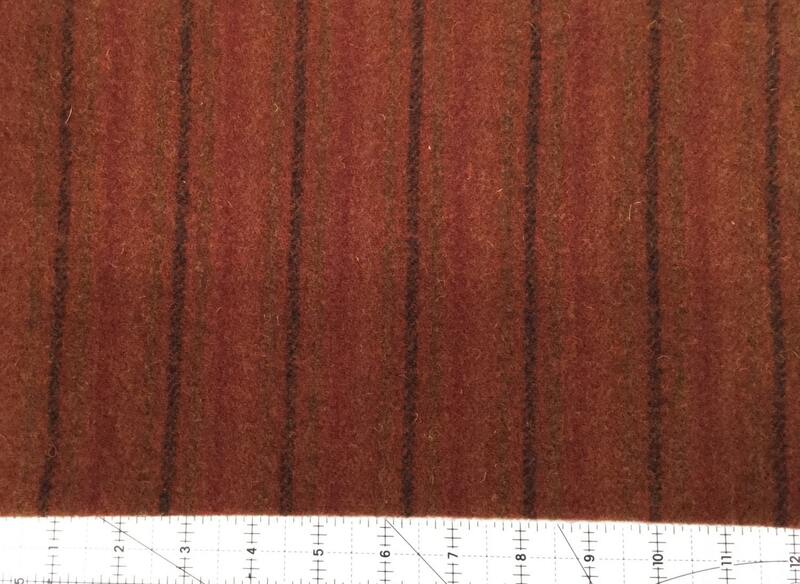 Seneca Stripe is red, olive and brown stripe and has a great old blanket look. Hook against the stripe and you get a warm, rusty red. Hook with the stripe and get a good variation.